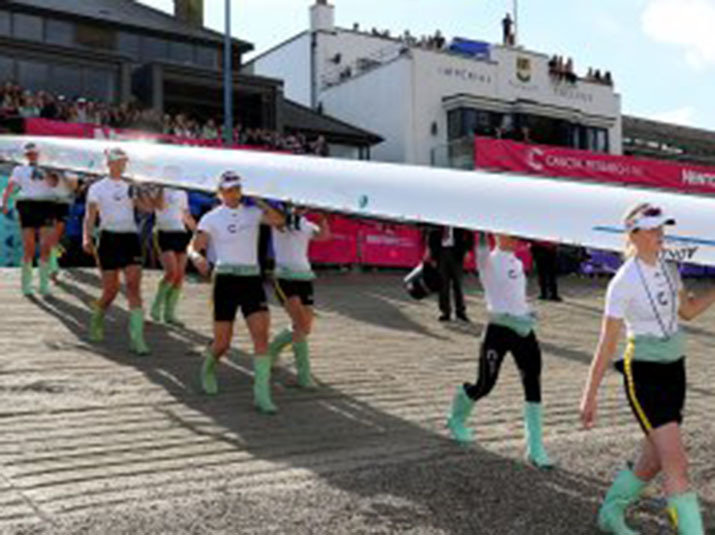 Cambridge University Men’s and Women’s Boat Clubs will be in competitive action for the first time this year, as they both boat two crews to compete in the Quintin Head. Fresh off the back of an impressive showing at the Fours Head in November, Cambridge University Men’s Boat Club will have two crews; their top boat will race in Elite whilst the second crew features in the Senior category. Racing under the club pseudonym, the Elite crew will be coxed by CUBC President Hugo Ramambason and will feature four Blues including the 21-year-old. The Cambridge University Women’s Boat Club crews are entered across the same categories as their male counterparts, with President Daphne Martschenko featuring in the Senior crew. Last year, CUWBC boated the fastest women’s crew on the day as they won the Elite category in a time of 13 minutes and 59 seconds.